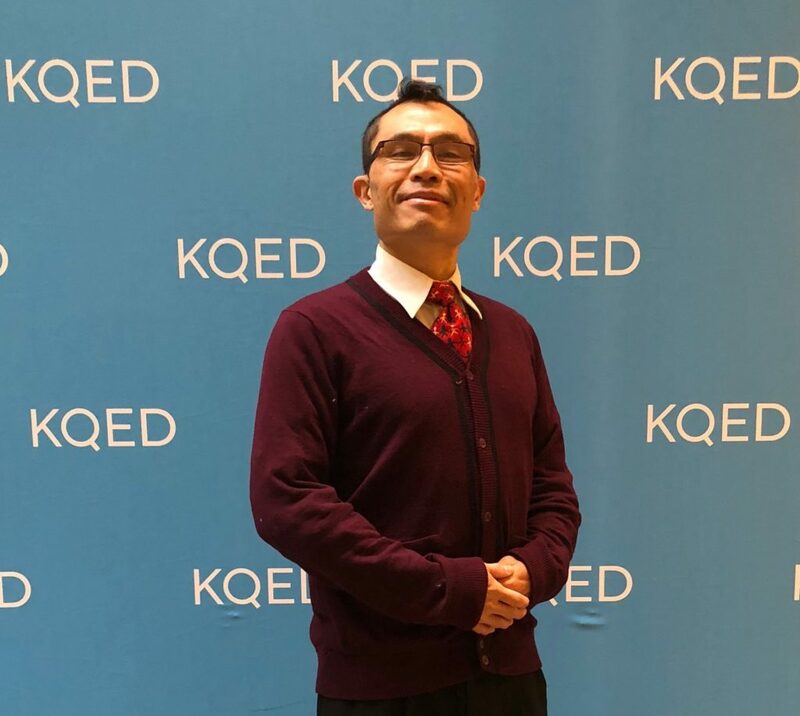 Working at KQED has lots of awesome perks: getting to work with a talented and dedicated staff, seeing all of the incredible journalism put out by our news teams, supporting our important mission in the Bay Area. We also know how to have fun and celebrate together. 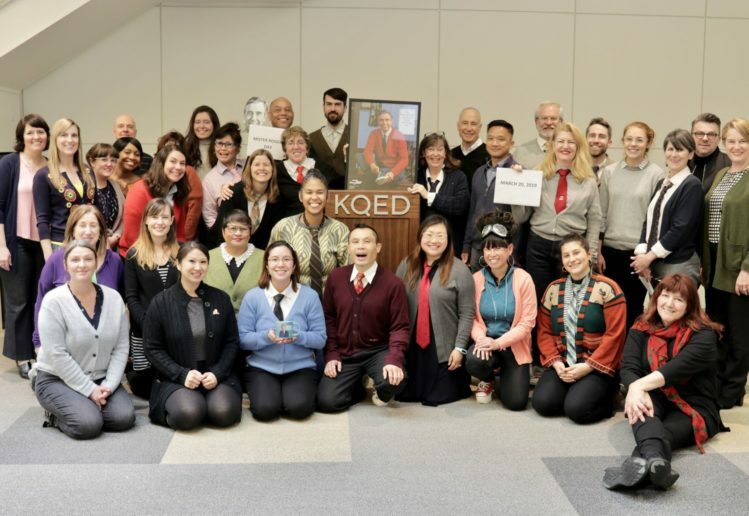 On March 20 we celebrated Mister Rogers Day by gathering for a photo wearing some version of Fred Roger’s signature cardigan, tie and sneakers. Here’s my best rendition. 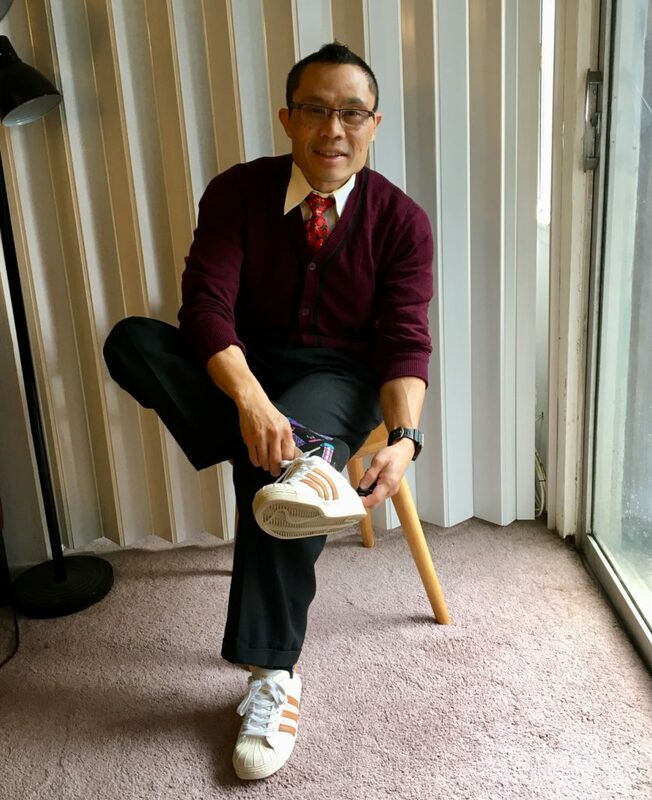 Oh, can’t forget to change your shoes! Next year I want to dress as one of the other characters from Mister Roger’s Neighborhood. Perhaps Daniel Tiger?